Editor’s Note: In our final publishing week of the year, Joe Noss is joining the TBAW team. Last week, Joe wrote a letter to an Ontario Senator asking some questions about the recently passed “Anti-Terrorist” Bill-C-51, and he got a response. We’ve included Joe’s original letter and the Senator’s (Linda Frum) reply. I am a student, and I would like to grow up unimpeded by what I do online. I would like to be free to do whatever I would like on the Internet, without fear of persecution from a shadowy organization tracking my movements. I understand that this bill is meant to stop “terrorism,” however, it deems any “threat to national security”—in extremely broad terms—as “terrorism”. In turn, countless environmental groups, political groups, and more importantly, student groups, will be monitored and potentially persecuted. Yes, the government has a role in protecting us, but governments have opposed countless protests in the history of North America. These protests have lead to much needed change. Laws are not always right, and throughout history, should and will be opposed. However, with a bill like this, these changes will be exponentially harder to facilitate, if possible at all. For example, in the 1960’s, the American Government monitored Martin Luther King’s movements, phone calls, and interactions, in order to blackmail him or gain an upper hand to impede his control of the civil rights movement and cool the steam that the movement had built. The level of monitoring of a leader of something so important, something so democratic, is disgusting. Worse, that was in a time before the Internet, in a time when it was much harder to monitor someone. Now, every action we will make and have made on the Internet will have an opportunity to be used against us if the government ever deems fit. Yes, maybe the current government won’t, but the fact that this information is present, that this information is collected, this information is able to be used once there is “justifiable” cause, is unjustifiable. For example, when I grow up, if I decide to lead a protest against De Beers’ ridiculously low wholesale cost that they pay to the Ontario government for their diamond mining operation—75 cents for every million dollars made— I can easily be deemed a “threat” to national security, as I am impeding the “economic stability” of the country and province, by inconveniencing a company that pays substantial tax dollars. In turn, the information that has piled up about me over my entire life spent on the internet can be used as an arsenal against me. They will use my interests, my movements, my purchases, my family, my friends, and any information they have against me, in order to make me cave to whatever their demands are, or more specifically, the demands of the third-party interests involved. Situations like this have just occurred in America, where keystone pipeline protestors have been monitored and targeted by the FBI for their “threat to national security”. I understand that the internet may seem inconsequential to you, as you have had less time with it than I have, less time to see how powerful, beautiful, and independent the internet is. More importantly, how this bill will shatter that. My life has evolved around the Internet, as have those of all students who have grown up in the “internet age”. You have to think about us and think about the future when you are voting on this bill, as this is an opportunity to do something great and avoid something terrible: protect the future generation from being stopped by bad governmental decisions. A decision on an aspect of our lives that matters so much to us should not be decided by people who do not value the internet, or who will not be affected by the ramifications of this decision. Worse, this decision should not be decided across party lines, but instead decided by the belief of representatives’ constituents, and for the senate, the peoples’ beliefs. I believe in Canada, I believe in freedom, and I believe in the Internet. More importantly, I believe in you, in making the right decision on this bill. This will go down in history, this will be told to children for years to come. You have an opportunity to be on the right side of this battle, on the right side of change. I thank you for your service as a senator of the best country in the world, and I urge you to make the best decision that you can. Please save us and please save our future. 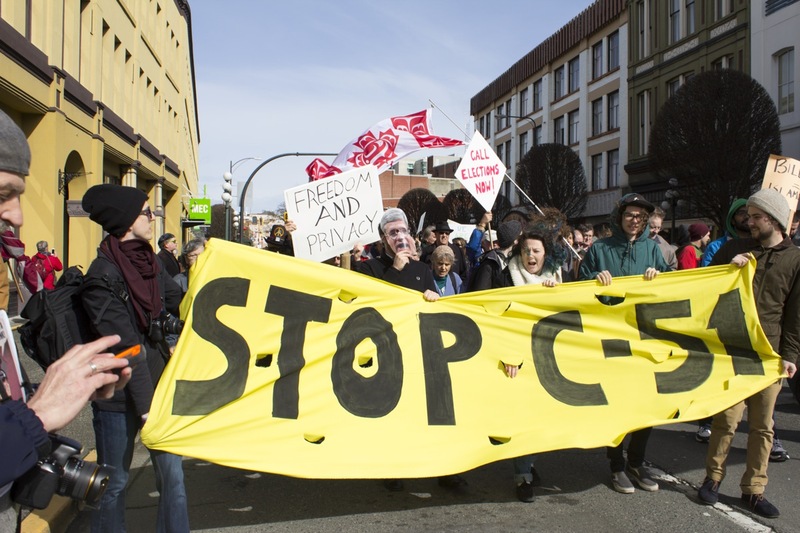 Thank you for writing to express your concerns about Bill C-51. 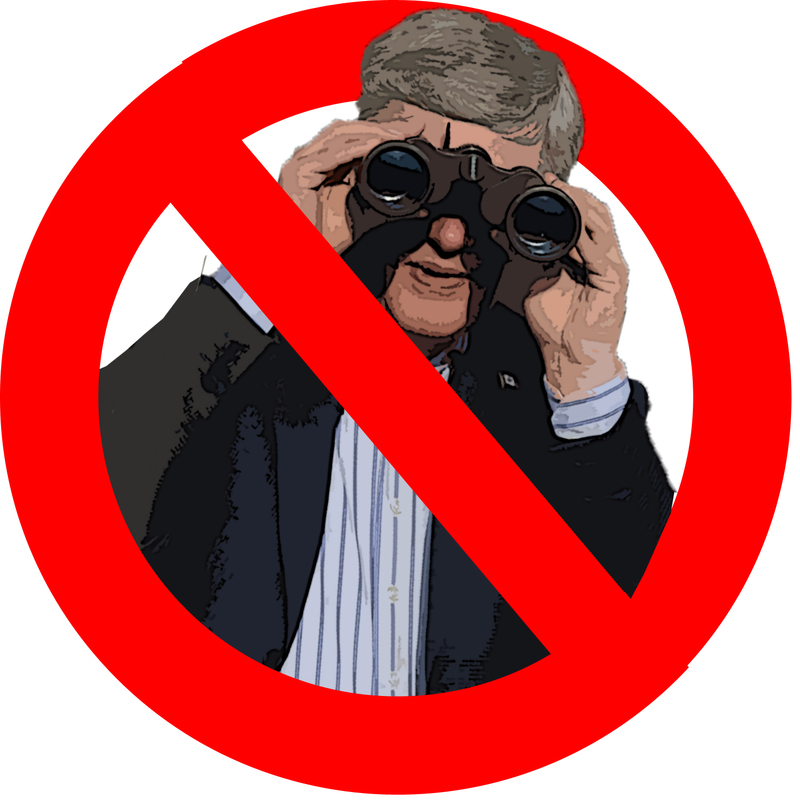 The bill’s provisions are not directed at lawful protests and protesters, nor at lawful use of the internet by law abiding Canadians. 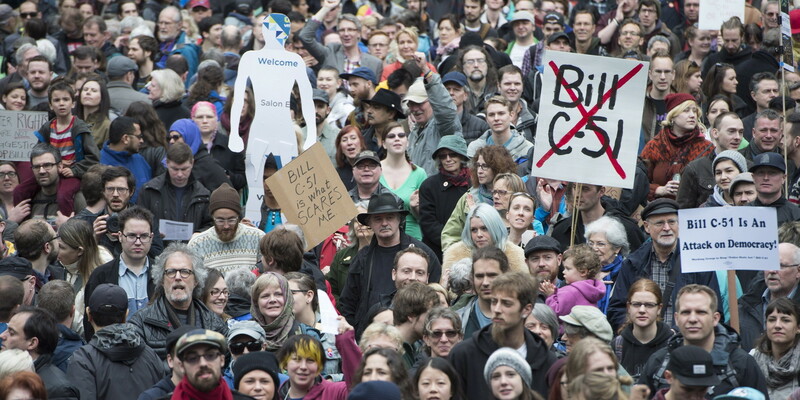 Bill C-51 is aimed at deterring, detecting and preventing actions by terrorists. The international jihadist movement has declared war on Canada. Their actions continue to prove it. These jihadists are using the internet to recruit acolytes, either to join them in the Middle East or to undertake terrorist actions in Canada. To better take on this enemy, new legislation has been needed, designed and intended to help our public safety officials more successfully fight fast-evolving international jihadism and other very real threats ro the safety and security of Canadians. The threat to Canada is not from Bill C-51, it is from international jihadism, and from individuals or groups plotting to harm Canadians. The government of Canada, for good reason, takes these threats seriously and will continue to take necessary steps to deal with them. Thank you for writing, and for your engagement with these important issues. I wish you ongoing success in your studies at UCC. 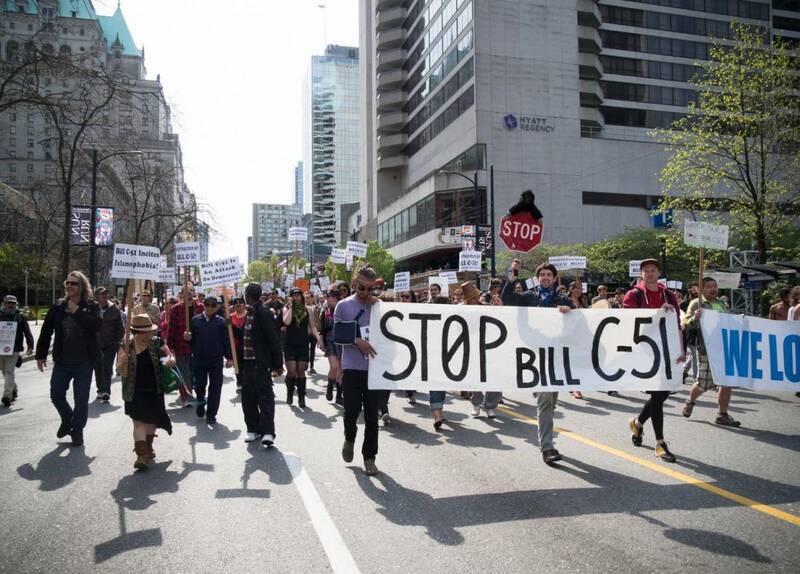 In closing, let me include some links to additional information about Bill C-51, which I hope you will look at.